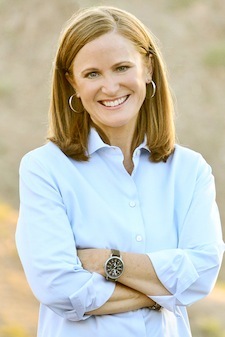 Many people who invest in domain names are familiar with Christine Jones because of her role as General Counsel and Executive Vice President at GoDaddy. Ms. Jones was one of the highest ranking (and most visible) employees at the company. When she left in 2012, I thought she was going to retire and live comfortably, having helped build GoDaddy into the world’s largest domain registrar and one of the largest employers in the state of Arizona. Instead of retiring, Ms. Jones decided to run for Governor of the State of Arizona. Shortly after hearing about her campaign, I asked if I could post an interview with her. I appreciate that Ms. Jones found the time to answer my five questions, and I hope you enjoy the interview. Although this website is not political in nature and I don’t live in Arizona (I do love Tucson though), I want to share this with you because of Ms. Jones’ background in the domain name business. You can read more about Ms. Jones on her campaign website, ChristineJones.com, and you can also follow her on Twitter. When GoDaddy was sold, you likely did well enough to never have to work again. Why did you choose to run for office when you could simply enjoy retirement? When I first joined Go Daddy, the company only had a few dozen employees. For more than a decade, I helped grow the company to about 4,000 employees, serving more than 10 million small businesses and entrepreneurs all over the world and contributing hundreds of millions of dollars to the Arizona economy. Go Daddy is a true Arizona success story that can and should be replicated throughout the state. I know that Arizona can compete, that Arizona can lead, and that Arizona can be a model for economic growth; I see the possibilities. I want to use my unique experience to help seize the opportunities before us. But most importantly, Arizona has been good to me and this is my opportunity to give back to the people and the place that has afforded me so many wonderful opportunities. How did your position at GoDaddy help prepare you to become Governor of Arizona? You already know that I devoted much of my personal time at GoDaddy to developing policy that would make the Internet a better and safer place, especially for children. In addition, I have a unique blend of life experiences that make me distinctly qualified to lead Arizona at this specific point in time. I am a CPA, I spent many years practicing law, and I helped grow a startup into a multinational, multibillion-dollar company. But I think perhaps one of the things that qualifies me the most and the reason why people really encouraged me to run for Governor, is that I spent a decade focused on policy development in Washington. I was able to push through policy while Congress was at a compete standstill and I was able to find groups of people who agreed on issues that needed to be advanced, despite the fact that Congress was doing nothing but fighting with each other. My track record at Go Daddy has really encouraged people about my ability to get things done, despite the odds being stacked against me. How do you think technology can help make government more efficient, and as Governor of Arizona, how will you use technology to the benefit of your constituents? Everywhere I look I see a technology solution begging to be implemented. As best I can tell, the only reason we haven’t been better at it as a government is because we don’t have technologists in charge. It is a significant distinguishing feature between me and the other candidates in this race and it’s one that voters should look at very seriously. Let’s take the federal government for example; it’s disproportionately large. I’m a CPA, but you don’t have to be a CPA to figure out that the national debt is a burden on many generations to come. We have to spend less money, and utilizing readily available technologies, whether it be a simple database solution or an efficiency that we can pick up by sharing information or reducing duplication of effort, will help us get to a higher level of efficiency and effectiveness. Of specific concern to Arizona is the need to secure our southern border. The answer to achieving border security should include electronics, surveillance cameras, infrared, buried systems, systems in the air, and many other readily available technologies that can and should be used, but currently aren’t. Utilizing technology solutions is critical to tackling issues that are important to Arizona and the entire country. What lessons were learned from the SOPA backlash at GoDaddy, and what are your thoughts on SOPA and other bills that are similar? First, it’s important to note that GoDaddy does not support SOPA. I personally am very much in favor of legislation that protects consumers from harmful goods on the Internet, which was the original intent of SOPA. However, I’m also very much in favor of legislation that the entire Internet community supports. Because that was not the case with SOPA, I withdrew my personal support as well. The lesson I learned can be applied to policy development at all levels of government: community and stakeholder buy-in must be achieved before advancing legislation. Leadership requires building consensus- and as Governor, that’s what I intend to do. What are your plans to attract high tech jobs and startups to Arizona? We must attract new businesses to Arizona by approaching companies and having conversations with them about why Arizona is the best home for their business. Inviting businesses to establish roots in our state is one of the most important things the Governor can do. Government sets the stage for businesses to create jobs, and for businesses to thrive. When you have a governor who has been in the business community like I have, I look at this a little bit differently than some of the other candidates. I believe the governor should be the top recruiter for the state and actively approach CEOs in other states and convince them that Arizona is the best place for them. Having that conversation is the single most important thing the Governor can do to grow business in this community. As it relates specifically to high-tech jobs, I see no reason why every technology company doesn’t have a data center in Arizona. Building industry-specific concentrations of tech businesses can and should attract high-paying tech jobs to our state. Very nice. Thanks for sharing, Elliot. Thank you Ms. Jones for taking the time as well! Great job Elliot! We need more Governor’s and politicians like Christine Jones. Shane – Religion and opinions are very important to some of us regarding politics…It defines the person for who they truly are. With candidates that are open with their religious beliefs and their opinions we can look into the character of the person…..Ronald Reagan is the best example of this. He wrote a diary every day of his presidency and involves religion and opinions. It is available for all of us to read in an unabridged version. Best to you…….I am confident Christine Jones would agree with me…. A person’s faith (if any) is part of what defines them as an individual. Very impressive woman with excellent credentials and who obviously, from my perspective, possesses a strong moral compass. Ahhh has anyone forgot who SOPA’s biggest cheerleader was? Lol give me a break, this will come to the forefront very quickly. Hmmmmmm. Doesn’t sound like their biggest cheerleader to me. Although Joe Arpaio has not yet declared his run for Governor, he would undoubtedly be the best choice. And he wasn’t arrested on a DUI. I have noticed that many of the CA tech companies are going to Nevada(wont consider keeping their data in CA because of legalities.) Curious to see if they can go to my beloved Arizona as well. Thanks Christine!